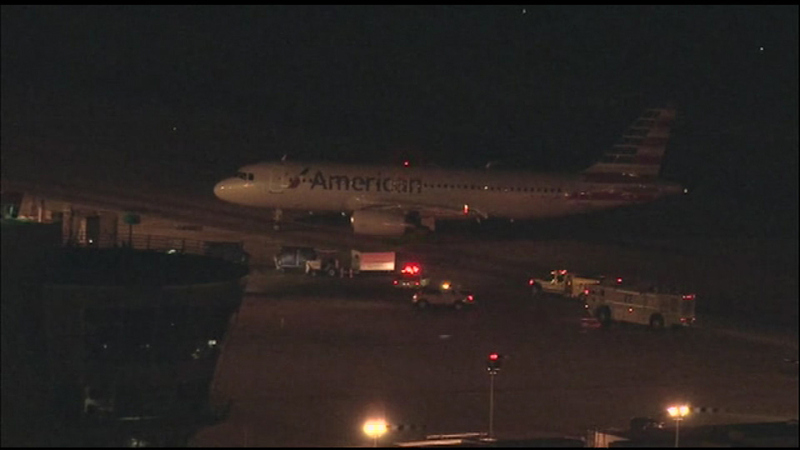 An American Airlines flight had to make an emergency landing at Philadelphia International Airport Friday night. PHILADELPHIA (WLS) -- An American Airlines flight had to make an emergency landing at Philadelphia International Airport Friday night. Some people called 911 reporting they saw flames shooting from the plane. It landed safely and no one on board was hurt. The plane was headed to Seattle when it made the quick turnaround and landing.